Welcome to Mt. Hood Polaris, your Portland Oregon Powersports Dealer where our variety of street and off-road products is second to none. In all of Boring, OR, there isn't a friendlier or more knowledgeable staff than ours. We're happy to help you find either the perfect Recreational Vehicle or the parts you've been looking for. Check out our catalogs to see what we have. If you need help in making your selection, call or stop in—we're always ready to help! We are family-owned and operated and conveniently located in Boring, OR. Mt. Hood Polaris can provide you with the latest and best in Powersports products to make your outdoor living more enjoyable. From the most recent in ATV, UTV, Motorcycle technology to the hottest new Snowmobiles, we can help you find the Recreational Vehicle that's made for you. Combine this wide array of selections with our friendly and knowledgeable staff, and we're convinced Mt. 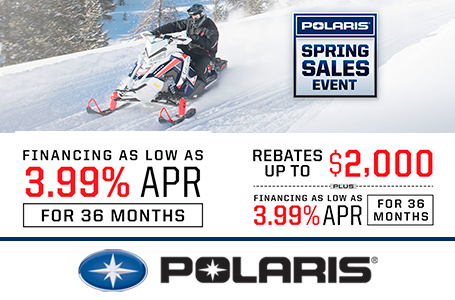 Hood Polaris will become your only stop for all of your Powersports needs. 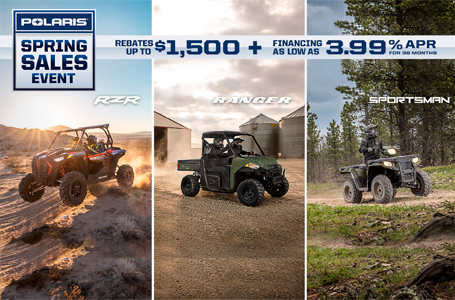 We specialize in products from Polaris Industries like Ranger Utility Vehicles that are second to none for getting work done around the farm or when you need to go hunting or fishing and want a Utility Vehicle with Four-Wheel Drive to get you into those tough spots. Want to blast the Trails or Sand Dunes? We sell the industries best Side x Side, the Polaris Razor RZR UTV, nothing can touch the new Razor RZR XP-1000 Turbo or XP 4-1000 out on the Trail or on the Sand Dunes. With 144 hp on tap the Polaris Razor RZR XP-1000 Turbo has no equal. Stop in and take one for a ride and experience 144 horses of UTV power!